One of the very best ways to ensure that you’re advancing your SEO knowledge is to follow blogs in that field which will help inspire and inform. With search engine updates happening so frequently and big changes always around the corner, it’s important to stay ahead of the curve. Many of these blogs offer the opportunity to become part of the debate, which can add real value to your own business. Not only that, you have a chance to learn, share, and grow. In order to get the most out of the wealth of information that’s out there, you need to know who to pay attention to and who to ignore. Some sites only publish fluff with no real substance while others aren’t as objective as necessary when dealing with web marketing. To provide a bit of guidance, I wanted to share a few of my favorites, organized below. Please feel free to share your favorites in the comments at the bottom of the page. This is one of the key SEO blogs out there and is particularly good for those new to SEO. It has covered pretty much everything you will need to know when starting out and also makes a great stopping off point as you become more SEO savvy. Aaron Wall and Peter D are experts at creating intelligent, thought provoking marketing content. While not exclusively aimed at beginners, they are a great place to get an idea of what’s out there and how SEO can transform your business. Get used to using it now. A fun site that covers many of the topics below and is perfect for an overview of the world of online marketing. Nice use of video makes it great for the beginner. Superbly wide-ranging blog that has a huge amount of link-building material. It is one of the best places to get a round up of link building resources. While focused on marketing, this blog has frequent tips for making the most of links and is also a great place to get a view of the bigger marketing picture. This is a great place to go when inspiration has run dry. Focusing on getting the most out of your blogging, the site is full of great tips and suggestions of where to explore more. Suitable for everyone from beginners to web veterans, it is also a fun site to use. Highly recommended. A good example of the power of interactive blogging. Using photographs and videos to complement regular blog posts, the site is a really useful location for learning more about the blogging world and is full of very useful blogging tips. Great to browse over lunch. A lively blog focused on helping readers get the most out of their blogging experience. Updated daily, this is definitely worth having a look at whenever you have a spare moment. There is even an opportunity to ask questions, something that can prove really useful. One of the best blogging resources on the web, the site can also be used as a great example of what the best blogs should be like. For anyone wanting to get the most out of content marketing or who just want to maximize their own website content, Junta42 is a wide-ranging site that covers many areas and has a really useful blog that is regularly updated. Definitely one to check every few days. A great resource for getting an idea of what is going on in the world of content marketing. Perfect to give your business site an idea of the marketplace, it also has regular updates of other sites worth visiting. Makes content marketing fun and always makes for a great read. One of the key online marketing blogs that is particularly strong on content marketing. Regular updates make this a must visit at least once a week. These are just a small number of blogs you could and should follow to learn more about the industry, whichever expertise level you are. 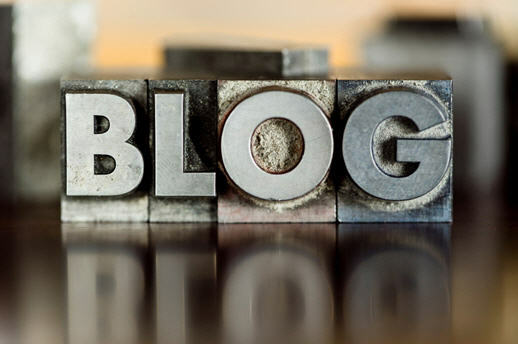 Tell us, what is your favorite industry related blog? Share with us in the comments below. It amazing post. I am reading this post very useful information to share in this article. I am follow you marketing blogs in my work.